The Gear Live was Samsung’s first and only Android Wear-powered smartwatch. It was released back in 2014 and while many thought that Samsung would launch another one, the company confirmed last year that it will no longer make Android Wear smartwatches. Samsung said that it would only make smartwatches that run on its Tizen platform. Tizen OS is now being used by Samsung in all of its wearable devices. The platform has also been worked into the company’s smart home appliances and other connected devices. So it makes perfect sense for Samsung to stick with Tizen when it comes to smartwatches. What may have appeared as a gamble last year seems to have paid off. 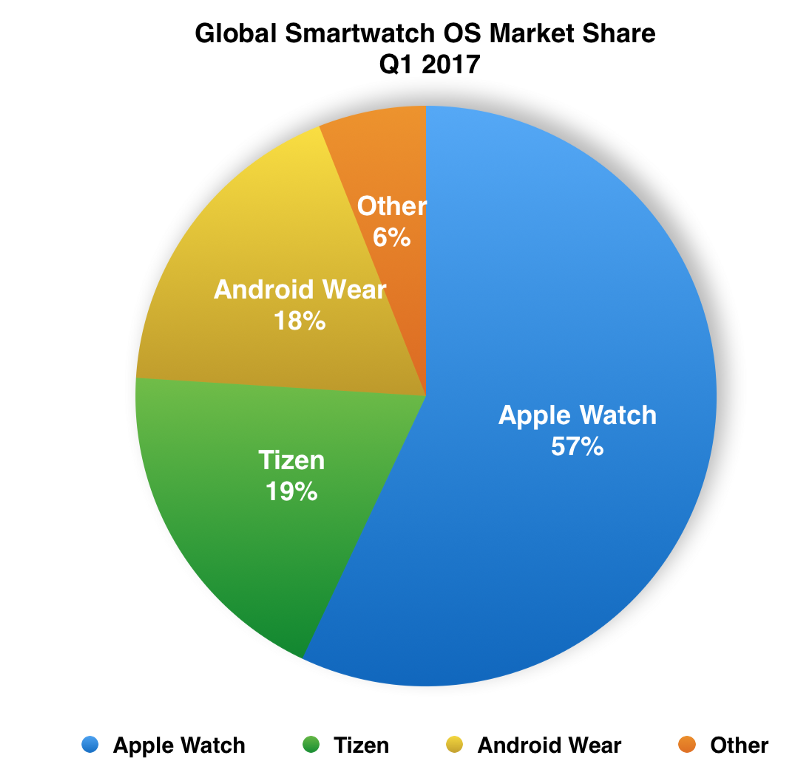 A new report from Strategy Analytics shows that Tizen has overtaken Android Wear in market share this past quarter. It now accounts for 19 percent of the smartwatch market compared to Android Wear’s 18 percent. This is the first time that it has advanced against Google’s wearable platform since Q4 2015. Android Wear hasn’t been able to make significant gains against the Apple Watch which remains the leader with 57 percent of the market share. Tizen has seen considerable growth over the past two years as its market share has climbed from 6.7 percent to 19 percent. Every day Tizen grows up and stay more significantly mobile system in wearable sector. Users complained about apps for wearable Gear but it is past I think. There is no problem anymore to find good apps for Gear in Samsung store. For example great Spotify explains all. Even GameBoy emulator is available for Gear watches. Tizen is much better operating system for watches than unwieldy Android Wearable, even 2.0+. A good performance and shows Apple needs a new watch. Their market share 2 years ago was 75%. The Gear S3 and S2 have definitely been a success story.